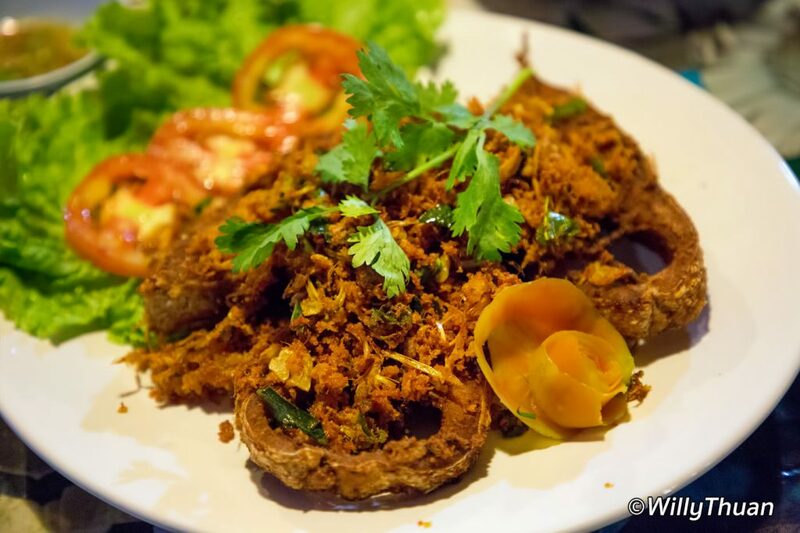 Kalim Rim Lay Restaurant is a little known restaurant serving good honest Thai food and seafood at good price. 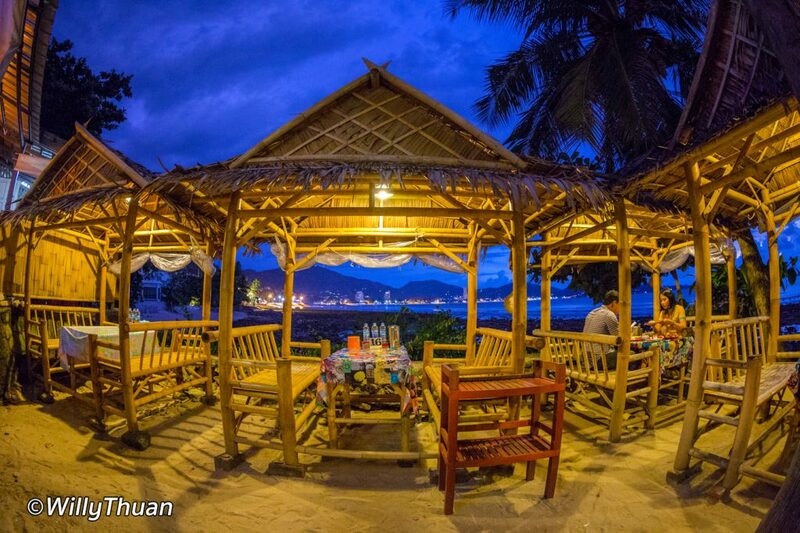 Best of all for some of you, it is located not far from Patong Beach , just past Kalim Beach. Rim Lay is a very relaxing spot to enjoy a lunch or a dinner with spectacular sunsets, if you are lucky to get one as we did. Real local Thai restaurants around Patong are no easy to find. Yes, you will find decent Thai food but you will rarely see any Thai person eating in a Patong restaurant, no matter how delicious other tourists say swear it is. If you ask Thai people, they will probably smile and say “it’s not really Thai food”. But there are a few exception if you are willing to drive a little and if you are ready get the full flavor of Thai dishes. 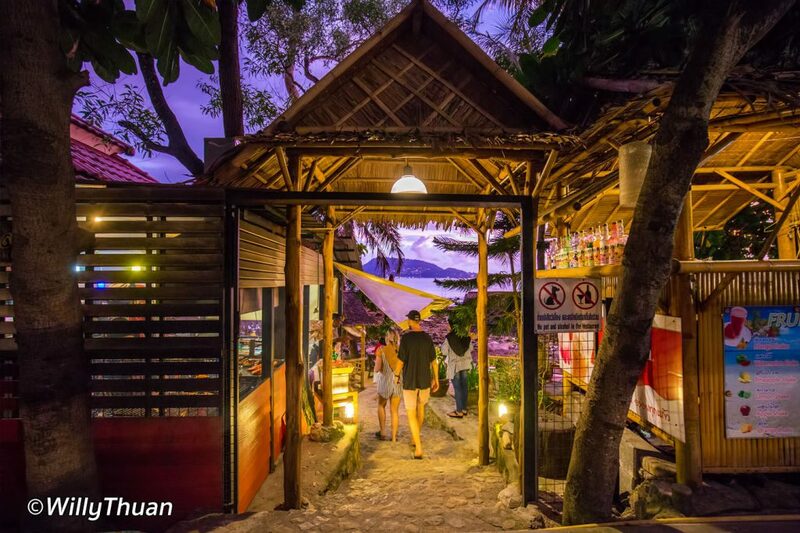 There are still few places like this near Patong. Kalim Rim Lay is one of them. (as well as Kaab Gluay and Pan Yaah which happens to be near Rim Lay). Kalim Rim Lay serves good food without fancy decor because it doesn’t need fancy decor. 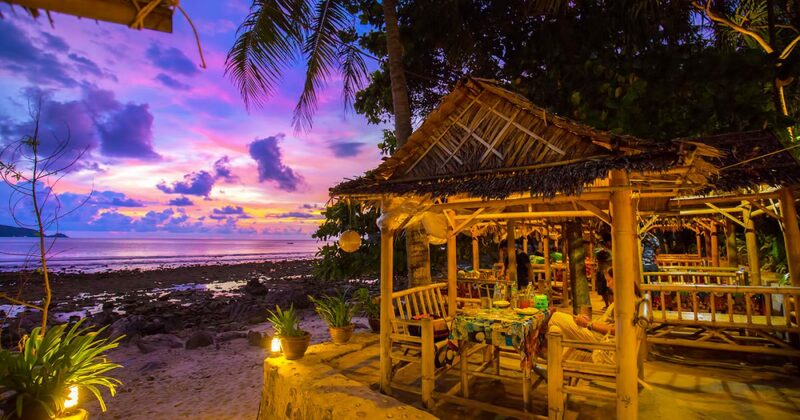 Rim Lay has an amazing setting with seaside, sunsets and bamboo huts. Those tiny bamboo huts have part of Phuket local al long as I remember Phuket (which is about 1990). Comfort is a little basic but who cares! 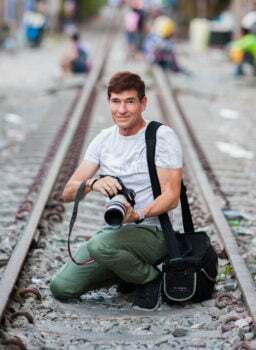 You travelled all the way to Thailand and this is what Thailand is really like. Try to arrive before sunset: if you are lucky tide will be high and sky will reflect in the sea. Arriving early also gives you a chance to get the seat of your choice. It’s not a secret place and you will not be the only foreigner but most customers are local and it is a good hint about the food. We ordered a few dishes and it was quite spicy as we like it. The deep-fried fish was really great, cooked to perfection. 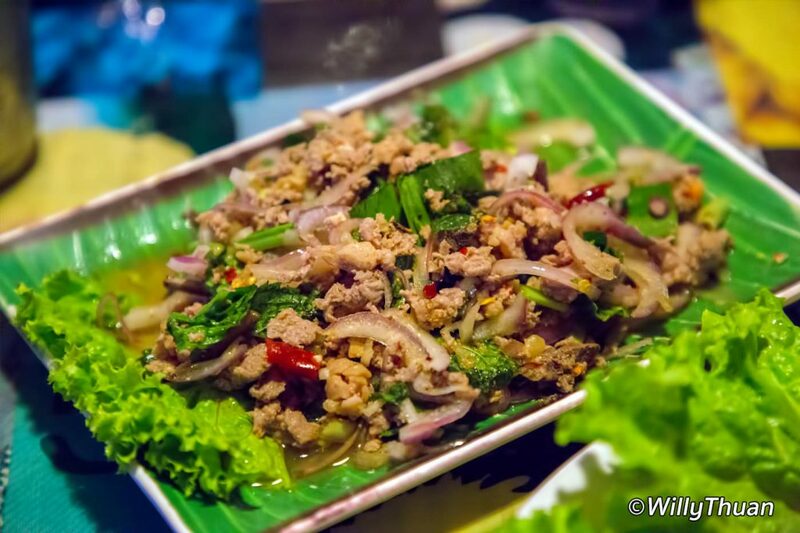 Larb Pet which is a delicious northeastern food duck meat salad with shallots. Some barbecued squid with the local seafood sauce was also very good. The grilled chicken and the Som Tam are delicious (Som Tam is that iconic green papaya spicy salad). If you like fresh fish this is the place for you (try the sea bass). I just wished they served beer to go with that glorious sunset but this is a muslim restaurant and therefore, they don’t serve alcohol, nor pork. 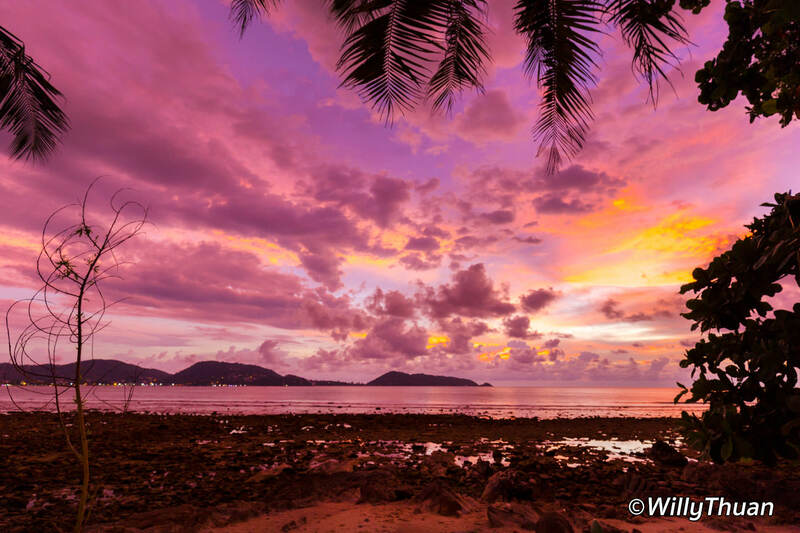 To get there: drive along the coast from Patong beach and direction Kamala Beach. 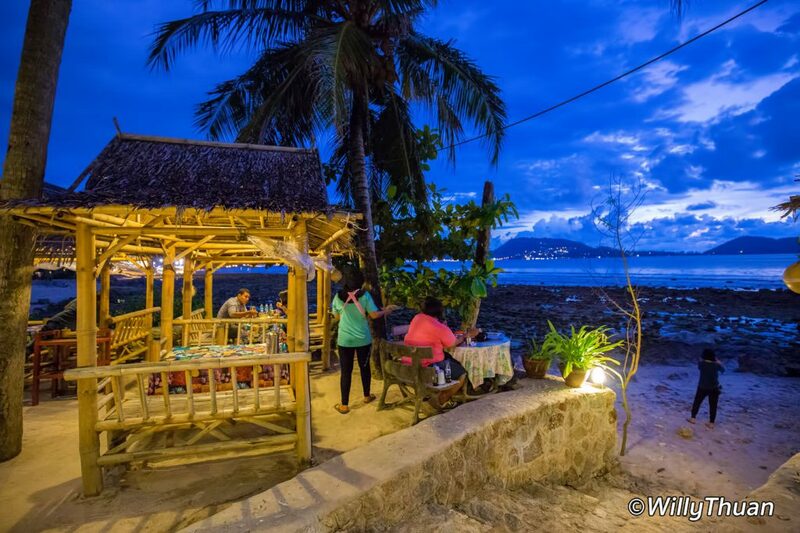 Pass Kalim beach, It will be soon after White Box restaurant just a little up the hill.